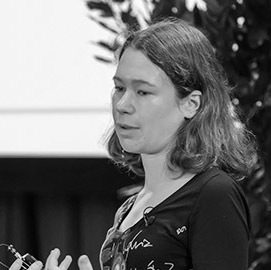 Emily is a PhD student in the Department of Applied Mathematics and Theoretical Physics at Cambridge, currently working on relativistic quantum cryptography. She studied physics and philosophy at Oxford, writing her Masters’ thesis on the problem of confirmation in the Everett interpretation, and obtained her second Masters’ degree from the Perimeter Scholars International theoretical physics programme. She also has an MPhysPhil from the University of Oxford and an MSci from the University of Waterloo. This is Emily’s first year with CamPrep and she will be teaching Artificial Intelligence.